Fantastic opportunity to own a BRAND NEW custom home in the highly desired neighborhood of Twin Palm Estates located between McGregor Blvd. and the river. 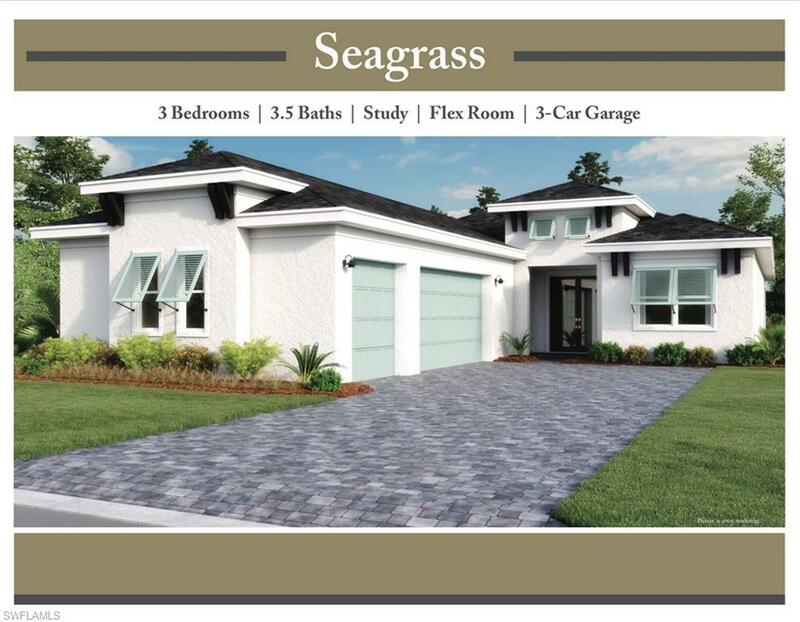 The Seagrass floor plan includes 3 bedrooms, 3.5 bathrooms, office/study, bonus room, and 3-car garage on an oversize, corner lot with room for pool. 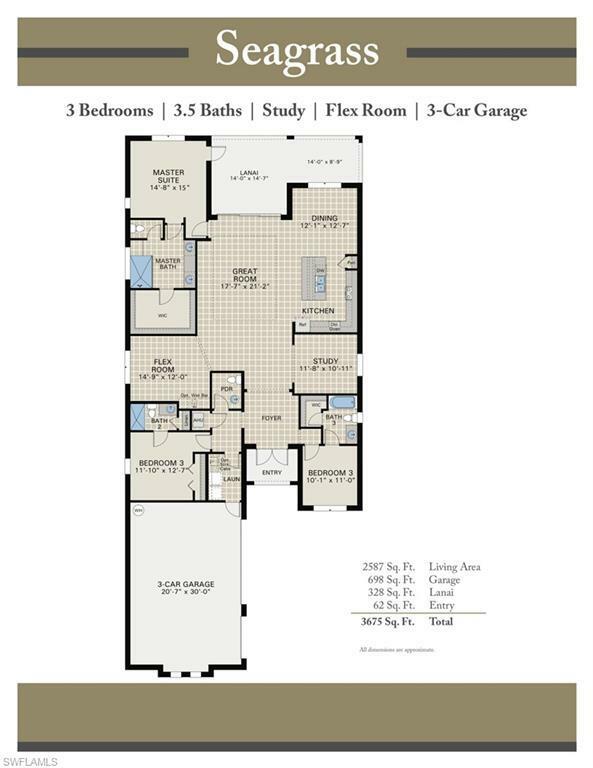 Within the large master suite you will find a spacious walk-in closet and master bath featuring double vanities and granite countertops. This beautifully designed home features coffered ceilings, paver driveway, entry, and lanai, as well as fabulous lighting fixtures, hurricane shutters, and much more. A gorgeous designer kitchen boasts granite countertops, stainless steel appliances, walk-in pantry, and large kitchen island. Designed with the intent of creating open, elegant, and welcoming spaces for effortless entertaining and living. Walk to the river and enjoy expansive views of amazing sunsets and walk up the street to enjoy Alliance of the Arts or dine at Cristof's. Fort Myers Country Club is minutes away. Estimated completion date is late May 2019. Do not miss this chance to be the first to live in this BRAND NEW home complete with 2-10 Home Buyers Warranty! Listing courtesy of Timi Coleman of Right Choice Realty, Llc.